The Carlisle 087803 molcajete dish is ideal for serving 8 ounces of refried beans, large sides of queso, salsa, guacamole, and more. 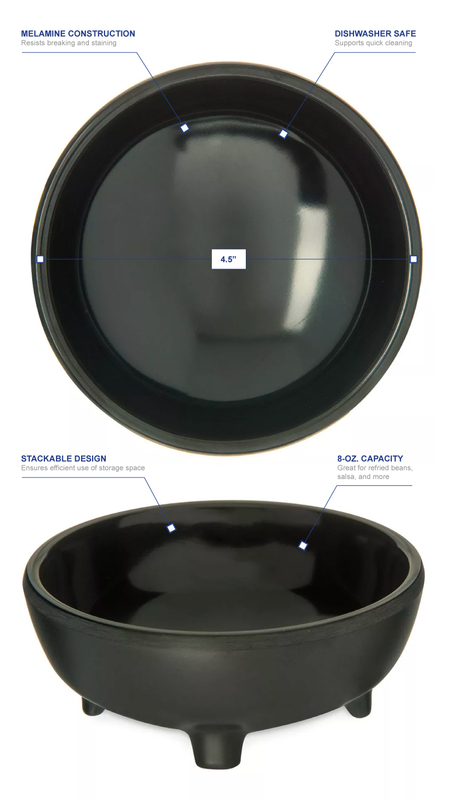 Scratches, chips, and breaking are resisted with the melamine construction of the bowl. It has stacking capabilities that provide easy storage options. Three feet on the bottom of the bowl keep it sturdy. 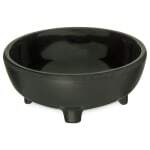 The Carlisle 087803 molcajete dish comes in black to blend into almost any theme.